Nothing makes people feel closer to each other than the ceremony of eating. 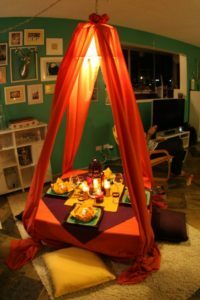 Yes, we really think eating should be called a ceremony because even the simplest gathering around the table gives people a pleasant and meaningful experience. It is a miracle how a table and some plates can actually influence people to talk, laugh and love more. 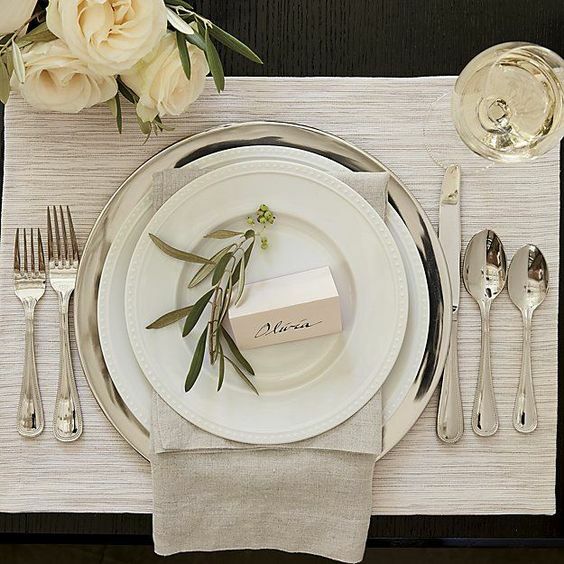 A proper table setting shows respect and a kind attitude towards the guests. Food is also a vital part of the process, however, here we will focus on the table settings. Because when we’re together it doesn’t even matter what is on the plate. Here we have selected 10 ideas on how to make the perfect dining experience for your guests. Those words belong to Goethe and we just couldn’t say it better. That’s why we not only recommend that you have some music at the dinner but also to set the table with style and make it look like a piece of art. 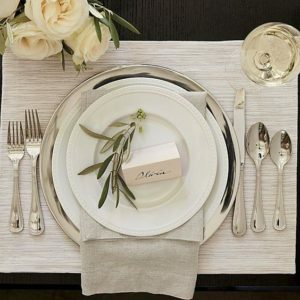 There is a variety of designer dinnerware sets, which could make your table stunning no matter what you place on them. For example, this chrysanthemum patterned plate, which is appropriate for both the main course and for a dessert. 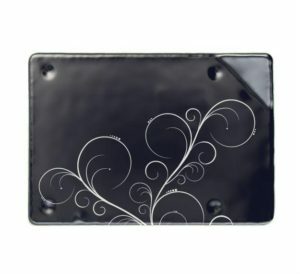 Charger plates are not only an elegant way to present food but also a very practical one. All the unavoidable spills made during the dinner are caught by the charger plates, which is actually a pretty clever way to protect the tablecloth. So, use the prettiest tablecloth you have and don’t worry. Plates are easier to clean. 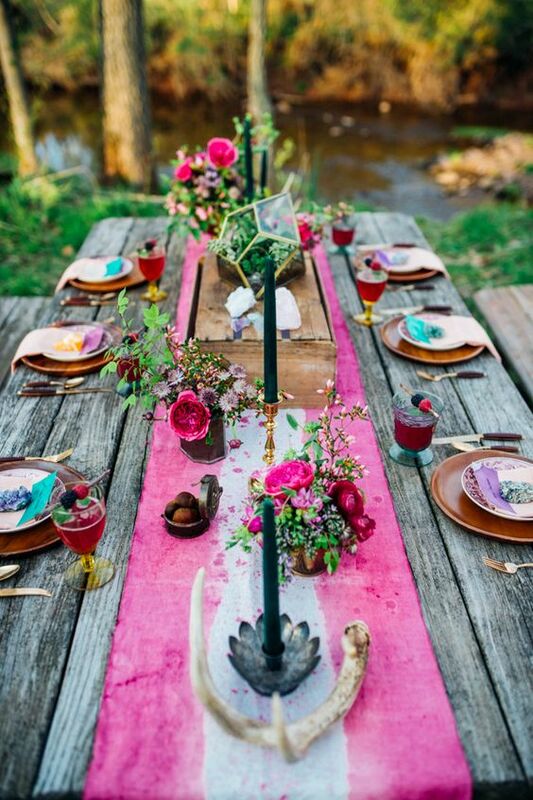 Bring the summer to your table by putting elements of boho and rustic style. Colourful plates, a bright tablecloth, and flowers are things that would cheer and freshen up the atmosphere at your table. 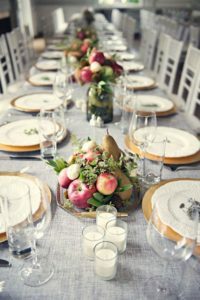 Mix and match a variety of patterns – for example, you could layer plates with different styles as stripes, florals, chinoiserie and achieve a playful and easygoing look for your setting. Don’t worry that different patterns may not seem cohesive – just use one colour with similar shades. Even though fruits are delicious, eating them is not the only thing you can do with them. Arrange some bright colored fruits in a glass bowl and they will decorate your table just as beautifully as a vase with flowers, but tastier. Cheese and fruits are the ultimate classics. Serve them in the right dinnerware and get the perfect centerpieces for your table composition. 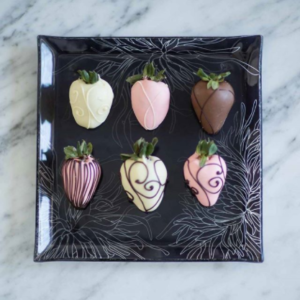 Choose a designer glass bowl for the fruits and a metal cheese platter with a matching dipping bowl. Glass and metal are a great match and super trendy, so are cheese and fruits. Everybody loves sushi, so you can’t go wrong with it. It is healthy and there are so many different kinds of it, that everyone will find their own perfect bite. Serve it in a beautiful designer plate and challenge your guests to have fun with chopsticks. Candles always evoke a warm and cozy feeling, so they have a special place on our table and in our hearts. 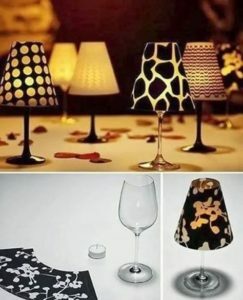 However, even though they look great on their own, there are more original ways to make them part of your dinner party. 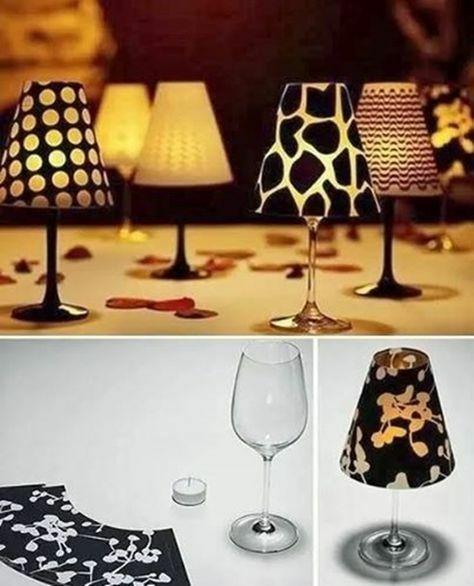 Put them inside of a wine glass and cover it with paper, so you can have a cute and romantic lampshade. Your guests will be impressed. Last, but not least, the dessert is the cherry on top of every dinner, sometimes literally. Even if you choose a simple vanilla ice cream, you could still present it as fancy as a Michelin-prized chef. 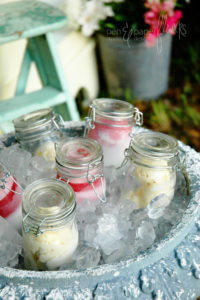 For example, you could serve dessert in a glass jar and make it the most memorable part of the whole course. Having dinner at home with friends and family is probably the best thing you could do for yourself nowadays. You don’t even need a special occasion to gather around the table and have an awesome time. We hope our list has given you some useful ideas that will make your evening more memorable.